The Temple Birthday Cake was made out of 2 sheet cakes. One was the entire foundation of the cake. It has white icing and gram cracker crumbs for sand. The road is made of gram cracker crumbs and junior mints line the road, The steps to the temple are made of carmels. The other sheet cake was cut in half for the foundation of the temple. It was covered with black icing and gram craker sand. The other half of the sheet cake was cut into three pieces to form a U shape. They were covered with black icing and gram cracker pieces to make the outside walls of the temple. 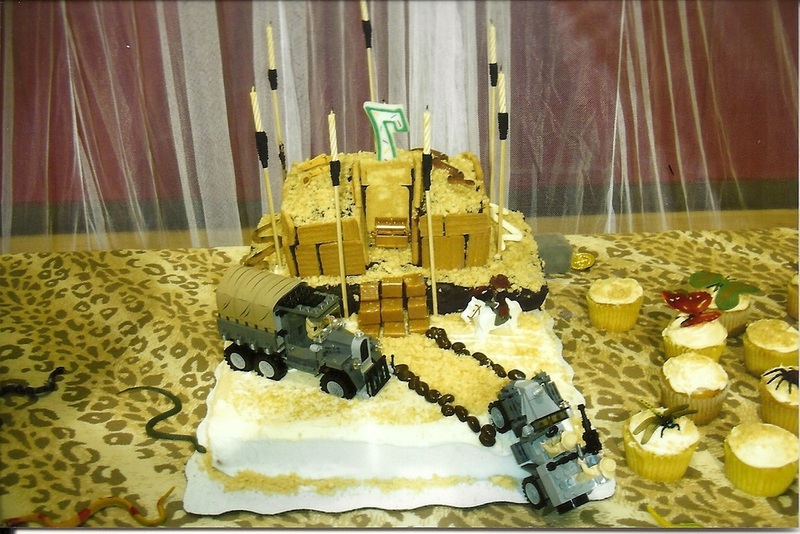 The cake was embellished with clean or new trucks and jeeps. There are snakes placed on the sides. The candles/torches were candles taped to skewers. There was a tiny treasure chest inside the temple. 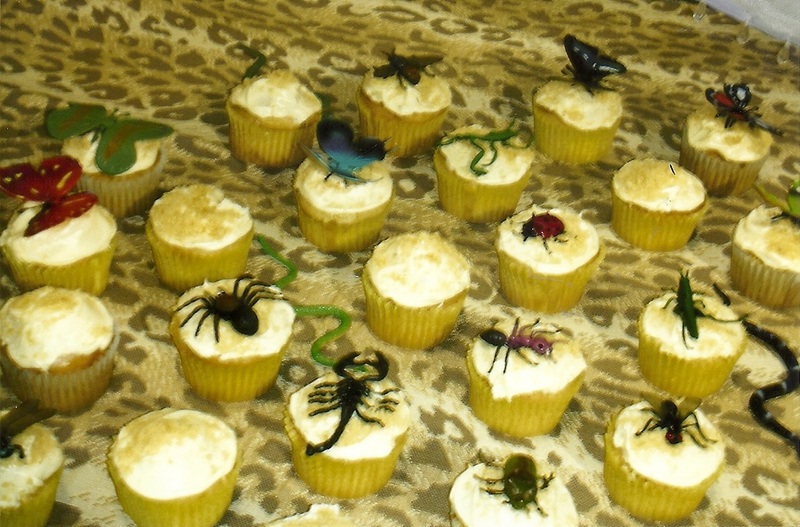 The bug cupcakes were just cupcakes iced with white icing and some gram cracker "sand". Some were toped with plastic bugs.